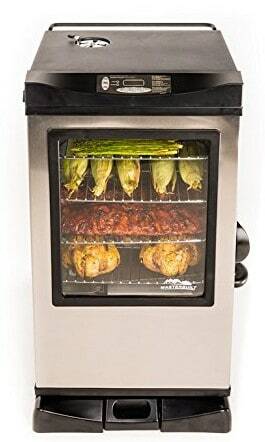 Save 50% on the Digital Electric Smoker with Window, Free Shipping Great Father's Day Gift Idea! Save 50% on the Digital Electric Smoker with Window, Free Shipping Great Father’s Day Gift Idea! The Masterbuilt 20077615 Digital Electric Smoker with Window and Bonus Pack is on sale for $199.99 at Amazon right now. That's 50% off the list price of $399.99! A great Father's Day gift for Dad!